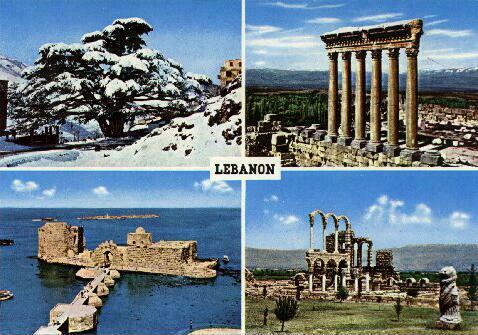 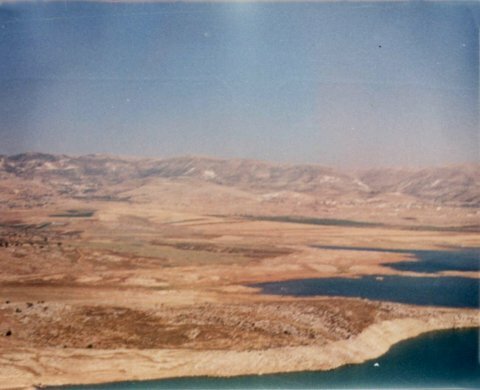 This is a postcard of some of the many interesting historical sites in Lebanon. 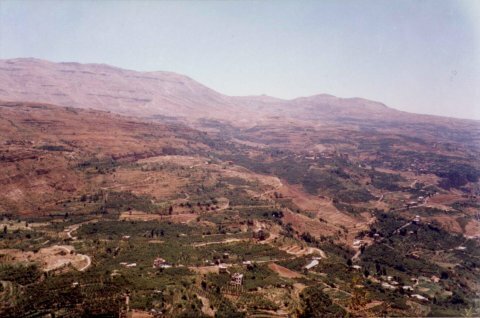 Starting from the upper left corner, and moving clock-wise, we have the Cedars of Lebanon, the Roman temples at Baalbak, Jebeil, and a port at Sydon. 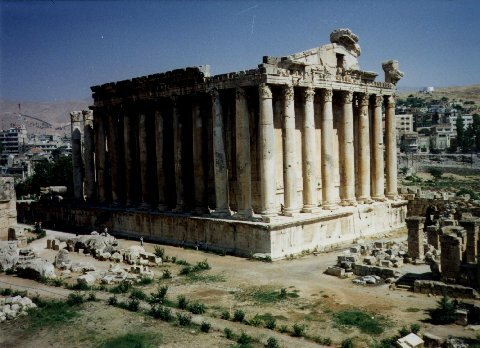 Yet another temple at Baalbak. 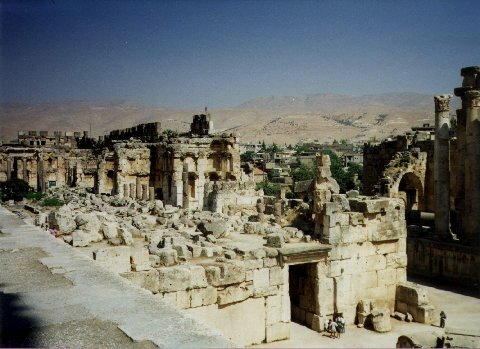 This is also at Baalbak, but I'm not sure what it is.